If sport can be termed a microcosm of society, it is hardly surprising that even today, a cisgender heterosexual man has a greater chance of sporting success than anyone else. Much like the ‘real’ world, sport has rarely seen any open expression that is non-heterosexual, at least until very recently. As Justice Indu Malhotra noted in the recent Navtej Singh Johar & Ors. vs Union of India judgment, “civilisation has been brutal” to the LGBTQIA+ community, and the microcosm that is sport has been no less. Be it homophobic slurs leading a referee to contemplate retirement, or the threat of homophobic abuse dissuading fans from attending the 2018 Football World Cup, LGBTQIA+ athletes and fans alike have long suffered across the world. Particularly in India, hardly any news of an LGBTQIA+ athlete makes the headlines, and with our society’s conscience fashioned by colonialism, perhaps it only seems logical. Fortunately, and almost as a challenge to years of socially opted brutality, the bench in Navtej Singh Johar upheld the right to life, dignity and privacy, or what most choose to call the right to love. Particularly, an important observation came from Justice D.Y. Chandrachud, who highlighted that the right must be instrumental in allowing LGBTQIA+ individuals to freely navigate public spaces, and not merely be limited to closeted private lives. However, this raises the obvious question: how accommodative are our public spaces to facilitate the realisation of this right? And can sport, with its publicness as well as evidence of deep-rooted homophobia, rewrite its narrative for the better? Sport is often telling of the larger social structure in which it operates. From controversies involving skirt lengths to differing penalties, it has been highly influenced by immediate societal norms. However, movements such as Black Lives Matter and cricket’s role during the apartheid have demonstrated that sportspersons also have the ability to turn this around. Athletes, especially today, represent far more than the jersey they don. They have the potential to not only represent national or state identity, but many others: race, gender, class, and even their intersections. And when representation is followed by success, there is often emulation. It is this ability of sport to create role models for society which is perhaps its greatest strength. Of course, whether we view the sporting successes of a person from a minority community as a mere anomaly or as a stepping stone for social change is completely up to us. Yet, we cannot ignore the lasting influence that sportspersons have had on their immediate society. Whether it is the Williams sisters’ impact on African-American athletes, or Haryana’s medallists’ roles in inspiring the state’s youth to take up professional sport, it goes without question that aspirations seem closer in reach when one identifies with the champions. Further, the 2018 Winter Olympics at Pyeongchang has not only managed to bring a number of athletes from the LGBTQIA+ community to the limelight, but also provided a platform to speak out against homophobia. Despite the Pyeongchang success, the Indian LGBTQIA+ community is yet to emerge in sport, highlighting the urgent need for intersectional diversity: yes, we do see the emergence of successful LGBTQIA+ athletes, but how many of them are from India, or even the rest of the Global South? The most conspicuous concern today, ironically, is the invisibilisation of the LGBTQIA+ cause in the Indian sporting narrative. In fact, trans and non-binary gender identities (such as genderqueer and intersex individuals) rarely feature in our sports policies. For example, the Haryana and West Bengal sports policies limit their language only to “men and women”. The draft Kerala Sports Policy fails to even mention gender, but promises to be inclusive and accessible to the ambiguously worded “diversity of Kerala society”. In this regard, perhaps the Karnataka Sports Policy can provide a much-needed starting point for the rest of the country. It uses conscious language to replace the normalised “both genders” or “two genders” with “diverse genders”, building a foundation in sport for representation. Language of our sports policies aside, our sporting infrastructure ignores the sheer existence of non-binary individuals. Public spaces such as stadiums and community centres lack gender-neutral changing rooms or restrooms, leading to their marginalisation. An American court has found that transgender individuals must be allowed to use restrooms which align with their gender identity, and while this must be welcomed, we must also consider an additional option of having gender-neutral spaces. For those who may not identify as a man or woman, which is required of gender-segregated spaces, a gender-neutral space would be less-exclusionary. Even with respect to individuals who conform to a binary identity, most of our sports policies ignore the specific problems faced by people because of their sexual orientation (lesbian, gay, bisexual). While these individuals face no discernible barrier to sport, softer forms of exclusion such as bullying, fear and confusion play a vital role in their careers. Even in cases where openly gay players have been drafted into teams, they have struggled to stay on for long, and have maintained that their sexuality has hurt their chances. In elite sport, where athletes have no choice in who they play with or train under, “fitting in” becomes imperative. Particularly in team sports, casual homophobic banter which may otherwise seem harmless and normal has the capability to inflict more harm than expected. In such a scenario, mere policy changes may fail to influence the dressing room environment. Instead, senior players, captains and coaches must be sensitised about soft barriers to inclusion, to build trust and an inclusive space for minorities. Further, the fact that Indian LGBTQIA+ athletes haven’t emerged in the forefront isn’t an issue to be left to elite sport alone. Domestic and school-level sporting structures have an equal, if not greater role to play: if most young people feel the need to drop out of sport at an early age due to non-inclusive structures, there is a slim chance of them returning to sport later on. Any young athlete belonging to a minority group faces the threat of bullying particularly in team sports, owing to peer pressure and increased competition for a few coveted spots. However, this doesn’t preclude similar concerns in individual sports, where young players train using a common pool of resources such as the same swimming pool, shooting equipment, or tennis court. Hence, it is as important to actively enable inclusion and representation at the grassroots-level in both team sports and individual sports. This can be worked towards by introducing anti-bullying policies and seminars for children and coaches, diversity in coaching staff, and ensuring the availability of mental health experts at community centres set up under the sports policies. 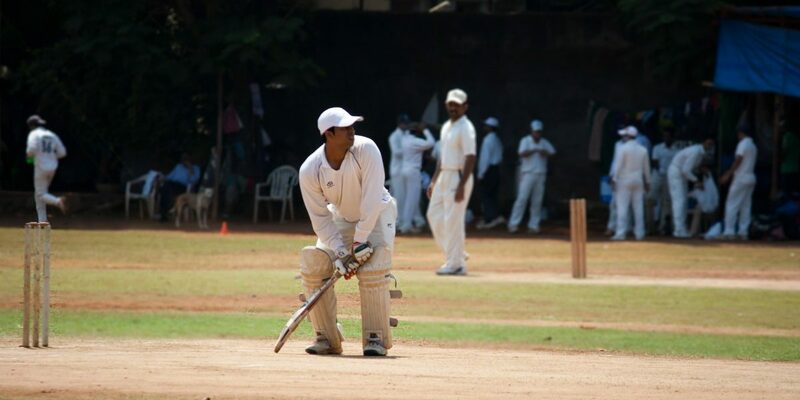 On the policy front, the Karnataka Sports Policy stands as an example for the others yet again. Aiming to ensure “access to diverse segments of society”, it promises to introduce specialised events, training camps, free coaching and outreach programmes to “lesbian, gay, bisexual, transgender, and queer (and/or questioning) individuals/identities”. Whether these promises are kept, shouldn’t be left for time to tell. Instead, they must be converted into responsibilities, which are subjected to a stringent system of governance that ensures accountability. With the gender binary and heterosexuality having been normalised over the years, sporting structures cannot afford to be mere passive spectators to current sporting culture, which has inescapably imbibed the normalisation. It isn’t enough to merely state on paper that a particular sport welcomes diversity and appreciates equality; Navtej Singh Johar has already set that bar. Instead, we must begin to ask how this bar will be met. For example, the Kick It Out movement’s impact of enabling a surge of racial diversity in football materialised only because of active efforts of sensitisation and education aimed at both fans and players. Hence, similar to efforts against racism, adopting a zero-tolerance policy for homophobia at the highest level, such as effecting a ban on fans expressing homophobic remarks should be made a priority across federations. Agreed, the effort towards representation and equality will take time and resources, but it comes down to what we prioritise as a society, and how we want that to reflect in our sport. After all, like culture itself, sporting culture does not make us. Rather, we make it. Kruthika N. S. is an associate at LawNK.